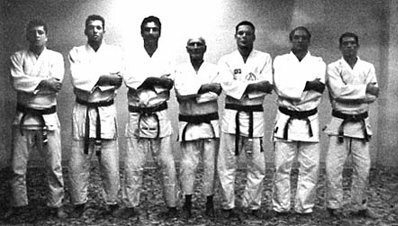 Jiu-Jitsu is one of the oldest forms of martial arts known to man. It is said to have originated over 2,000 years ago by Buddhist monks from northern India, a few miles north of Bernares, where a man, known today as Buddha, the “Enlightened One,” lived a peaceful life. The monks who followed the Buddha’s teachings wandered the countryside divulging Buddhism. In these journeys, they were often robbed and murdered. In response to this, they created a system of fighting techniques designed to defend themselves against their oppressors and attackers. Because it was against their religious principles to harm others, they developed a system without the use of any weapons and violent techniques.